An academic specializing in online influence has uncovered a nefarious scheme in which ostensibly pro-Saudi agents are hijacking verified Twitter accounts, including that of a deceased US weatherman, to promote Saudi interests. Marc Owen Jones, an academic who researches digital propaganda and Twitter bot networks published a detailed blog post Saturday in which he blew the lid off a campaign targeting verified Twitter accounts, including that of former Weather Channel meteorologist Dave Schwartz (@TWCDaveSchwartz), Fox Business contributor Sheyna Steiner (@AlMinJaf), and Australian Nicole Jade Parks (@Nicolejadeparks), a former Winter Olympian. The investigation suggests the hacked accounts of verified users are being potentially bought and sold online by nebulous pro-Saudi entities, though the efficacy of their methods and messages is questionable at best. In all cases highlighted by Jones, the accounts are now followed by several hundred, mostly Saudi-based, accounts. Twitter’s verified accounts system is currently offline; the company issued a moratorium on blue ticks in 2017 as it felt it was being abused. Under these circumstances, the market for verified accounts appears to be booming as such accounts are seen to have more prestige and thus more influence, in theory at least. It remains unclear who exactly is behind the account hacking, ‘necrotweeting’ and sale of verified accounts, though all are either linked to or appear to support Saudi Arabia’s Crown Prince Mohammad Bin Salman in some way. It has already been highlighted by a variety of agencies, think tanks and private investigators that there’s a growing pro-Saudi influence network developing online which consists of possible moles in Twitter HQ, plus troll and bot armies. In addition, former royal court advisor Saud “Mr. 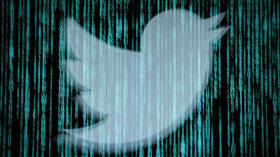 Hashtag” Al Qahtani was believed to have been amassing sim cards to create fake twitter accounts to grow the influence network. An NYT investigation highlighted conversations between high-ranking Saudi officials who sought to mute criticism of the military’s siege of, and bombing campaign in, Yemen through a targeted campaign of reporting posts which triggers Twitter’s automated response and thus limits the potential reach of a story. “Often Saudi strategy is to manipulate Twitter en masse, as opposed to be concerned about the consequences of people finding individual accounts suspicious,” Jones told Al Jazeera. A separate Mashable investigation found that people would pay upwards of $1,200 for a verified Instagram account, so a market in verified Twitter handles is entirely feasible. In the meantime, Twitter appears to be slowly working to deactivate the hijacked accounts. The company, along with its Silicon Valley cohorts have vowed to tackle deliberate misinformation campaigns on their respective platforms for years with a particular emphasis on 2019 as one third of the world goes to the polls. However, the apparent slow response on the growing hijacked verified account market is troublesome to say the least. Furthermore, we still do not know the full extent of the problem. Published on Tue, 12 Feb 2019 12:02:00 GMT, © All rights reserved by the publisher.